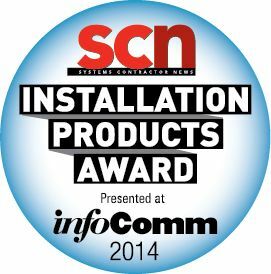 The 2014 SCN/InfoComm Installation Product Awards finalists have been selected. This year’s product awards will showcase the most innovative commercial AV products of 2014 in 18 distinct categories. The list of finalists follows below. Click here to vote for your favorites. Please note, votes are now limited to one per person. The winners will be revealed at a ceremony at InfoComm 2014 in Las Vegas. Voting will close May 2.